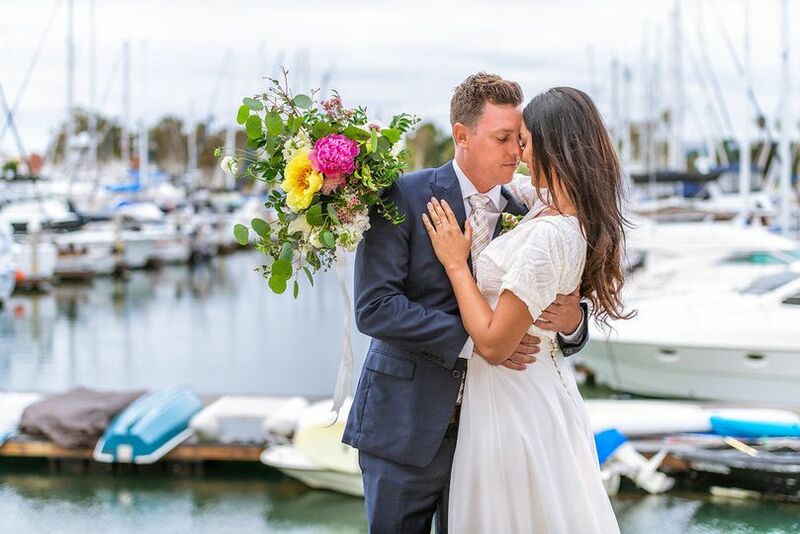 Harbor View Loft is a San Diego, California wedding venue serving the San Diego, La Jolla, Coronado and Carlsbad areas. 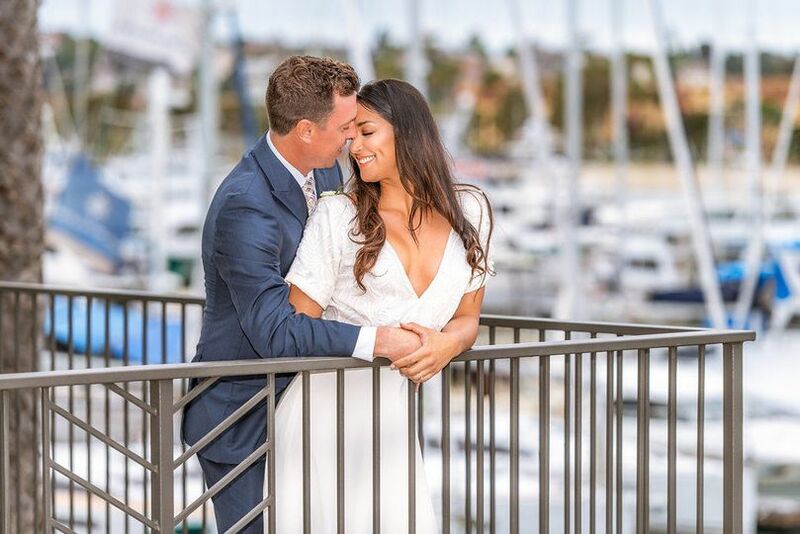 With expansive views of the San Diego harbor and the gorgeous city lights, this venue offers a breathtaking setting suited for an elegant celebration or a laid-back soiree with friends and family. 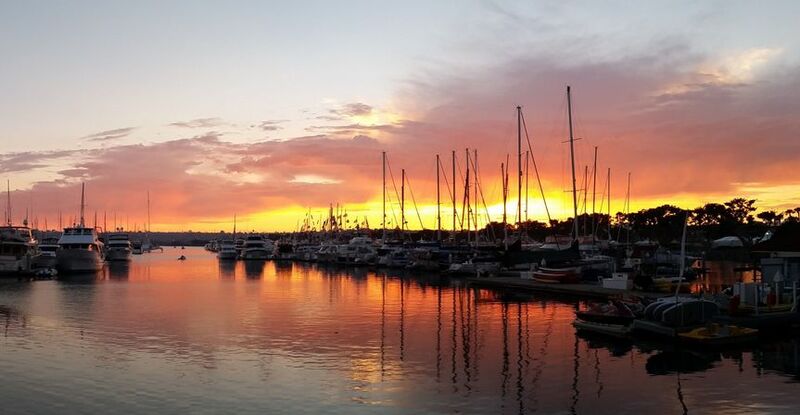 With panoramic views of the Coronado Bridge, harbor, and marina, Harbor View Loft is a unique space with the sought-after waterfront ambiance popular in the coastal region. Premier outdoor spaces to enjoy the glimmering water and city lights include a wraparound balcony to take advantage of the evening air, as well as a rooftop ceremony space and cocktail hour area to add to that cloud nine mood. Sunset will bring an extravagant glow to your early evening ceremony, dripping romance from every gilded surface. 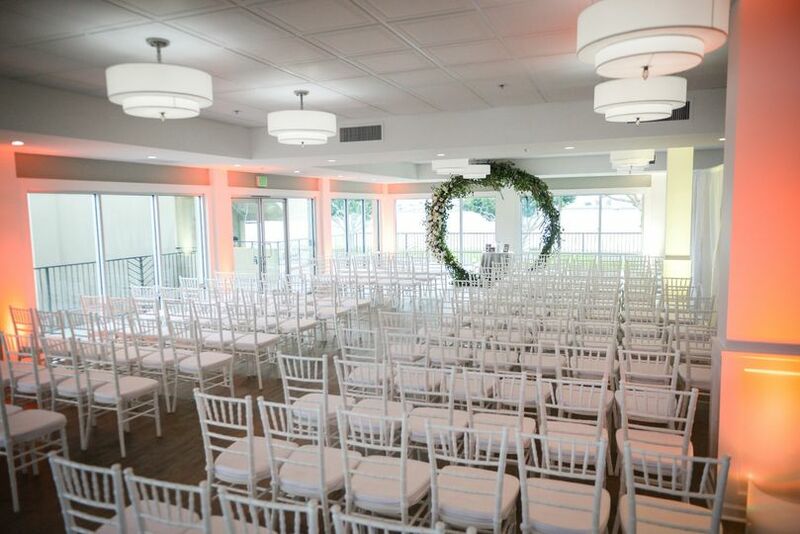 Guest lists of up to 300 can be accommodated at this waterfront venue. 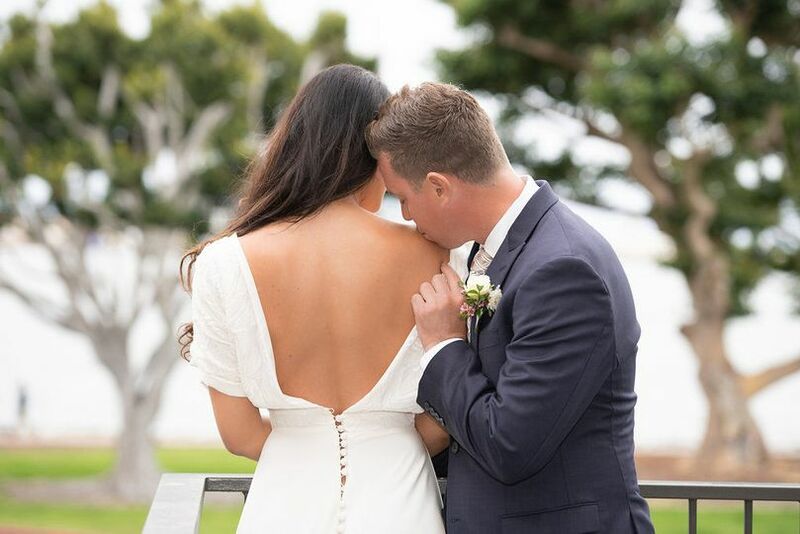 Bringing over 30 years of industry expertise, the venue offers full planning and catering services tailored to each couples’ vision and budget. 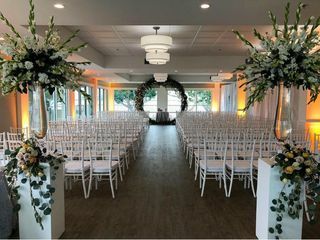 Offering industry-renowned quality, the event coordination team can provide flexible wedding packages with a range of customizable options. The elite culinary staff has delighted palates with their extensive seasonal menus, from gourmet dishes to crowd-pleasing favorites. 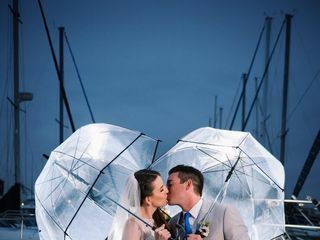 With experienced staff and exceptional attention to detail, the wedding packages include the smallest of details that will bring joy to every moment of your big day. Patio heaters keep guests warm in the brisk outdoor air, while floor-length linens offer elegance and sophistication. In morning-after wedded bliss, couples can enjoy their catering leftovers, as the culinary team offers to-go packages to ensure not one ounce of your big day goes to waste. Decorative details such as gold or silver chargers or votives give couples choices to suit the wedding theme, without the hassle. 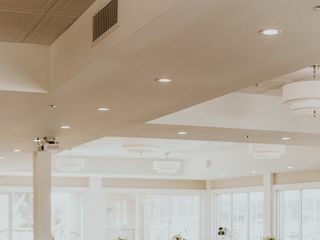 Cleanup and setup services are also included in wedding packages, as well as a generous two-hour setup window for outside vendors to ensure every detail is in place prior to the festivities. Location is everything and HVL definitely has it! Great customer service as well! 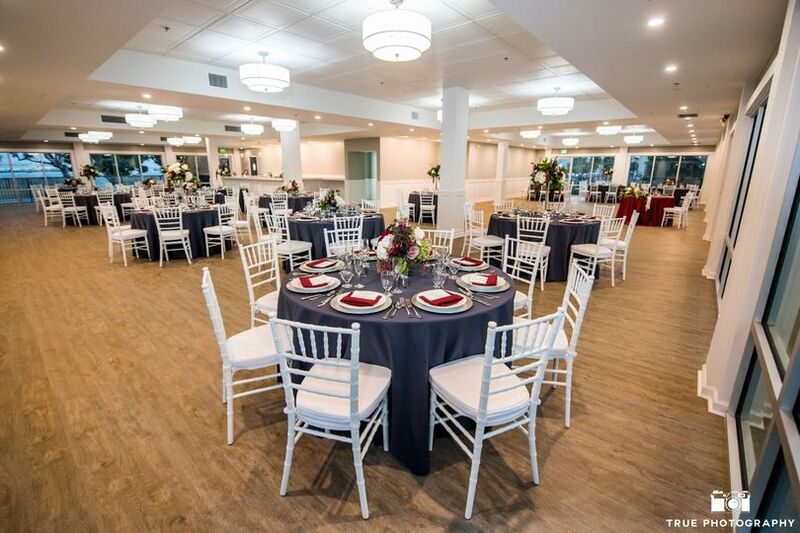 We chose Harbor View Loft after looking at several other venues because it is brand new, super clean and beautiful, it has amazing views and is in a convenient location. The management and staff have an outstanding reputation from their other venues, and they lived up to every great review. Mostly, we loved working with Annalisa! 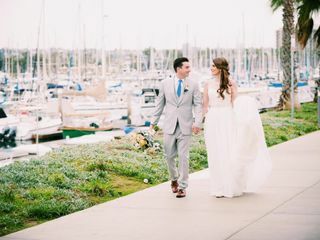 She personally saw to so many of the details for the big day, arranged for additional venue visits for my out of town parents, and even made special arrangements to take special care of a couple of our little guests who have severe food allergies. Thank you so much for your feedback, Lauren! It was so fun celebrating with you here. We also loved your LEGO cake topper! 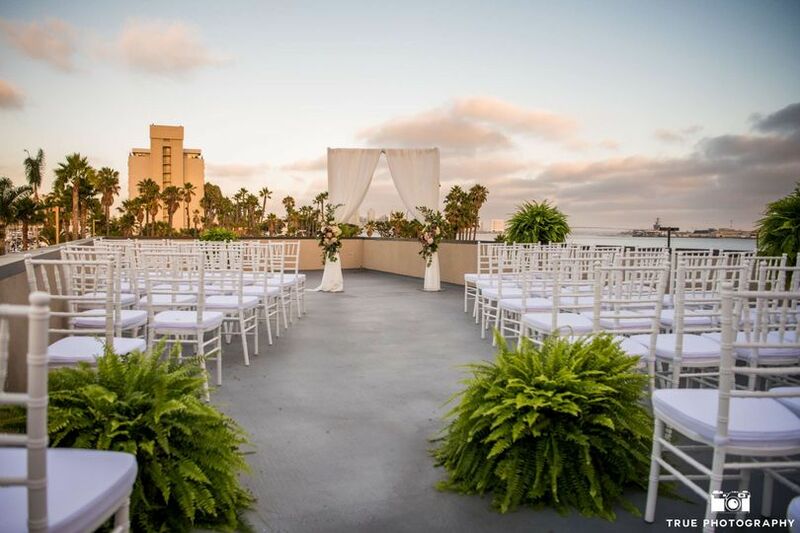 Perfect Spot to Tie the Knot! 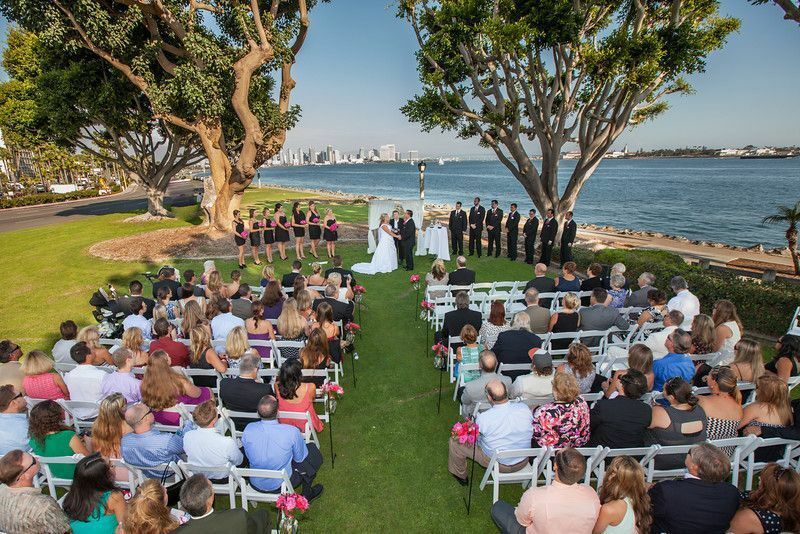 My planner, Keli Christenson, found this venue for me...And I'm so glad she did! The space itself is incredibly beautiful and modern (it was just renovated). The hardwood floors, marble bar, muted colors, and incredible views and wrap-around walkway were perfect! Also...it was about half the price I was quoted for a hotel in the same area! Further, I've noticed that hotels often have grand rooms for weddings that are pretty, but a bit dated, given their age. Harbor View was just completed last year, so that wasn't an issue. All in all, it was a perfect canvas to accommodate my decor and flowers. The layout allowed for a sweetheart table in the back/middle of the room so that all of the guests had a good view of us throughout the speeches, cake-cutting, etc. You can tell this place was designed with weddings in mind. As for the staff, I first met with Tracy, the owner. I sat down with her to talk about what we wanted in terms of food and bar, and she was very accommodating. While she gave a list of alcohols to choose from, she was happy to find something not on the list for us (Macallan 12) that we requested. On the night of, the food was absolutely delicious, and my friends especially enjoyed the open bar! Annalisa was the employee I interacted with the most, and she was incredibly sweet and helpful. She had no problem changing our menu after the tasting to include 4 appetizers instead of 3 for a reasonable surcharge (just couldn't leave behind the bacon-wrapped dates!) and would always respond to emails really quickly. A lot of people told me and my husband that it was the best wedding they'd been to and I owe that in part to this awesome venue and its staff.